I love outfits that can go from day to night with the simple change of a lipstick shade and a pair of shoes. Jackets are one of my favorite pieces to wear that transition easily into any time of the day. 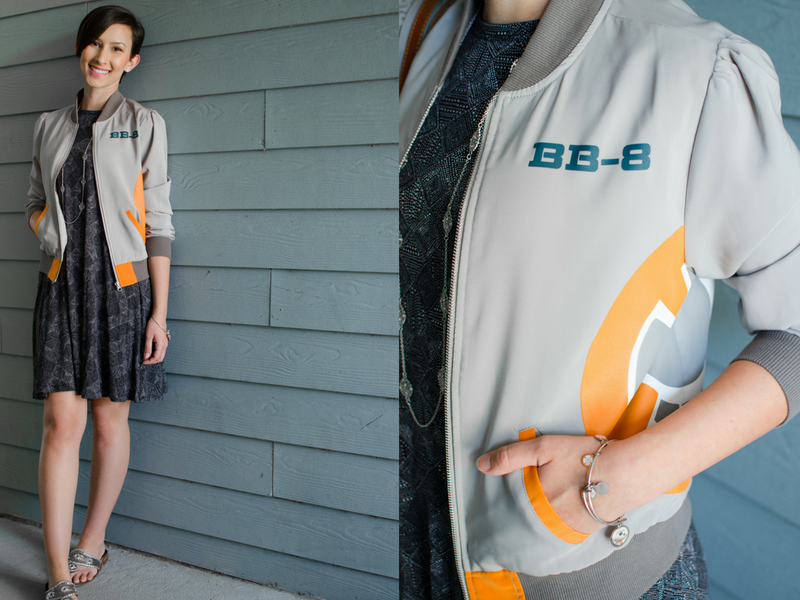 I've had an awesome BB-8 bomber jacket in my closet for about a year now and I wear it all the time over different dresses or with a favorite pair of leggings. Today I paired it with a simple swing dress and flats for a day of running errands. 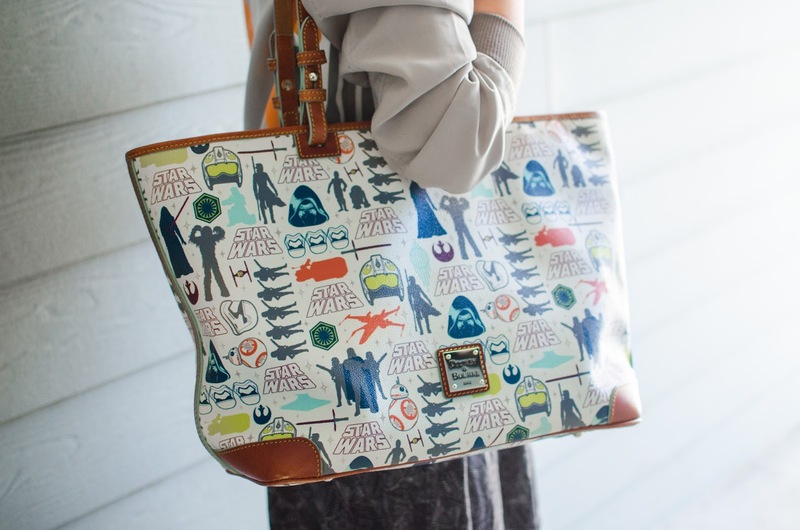 It was also a no-brainer to add my Dooney and Bourke purse that features all sorts of other characters from Star Wars: The Force Awakens.